Metabolic testing involves assessment of health and wellbeing of an individual. Metabolic testing equipment are used to screen organ functions and disease conditions such as liver diseases, diabetes, kidney diseases, and cardiovascular diseases. Metabolism is a chemical reaction occurring in the body to maintain the standard state of the organism or body. Metabolic syndrome is a group of metabolic disorders such as high blood pressure with high fasting glucose levels and abnormal obesity. Metabolism pattern and metabolic capacity is determined with the help of metabolic testing for management of such conditions. In case of sports professionals, metabolic testing is done in order to test body’s ability of oxygen consumption. Key players in the market are focused on introducing advanced devices such as body composition analyzers, metabolic carts, and electrocardiogram (ECGs/EKGs). Key players such as InBody Co. Ltd., Korr Medical Technologies, Cosmed srl, Vyaire Medical, and OSI Systems, Inc. offer products in the market in different segments. For instance, in 2017, Cosmed received innovative technology designation from Vizient, Inc. for its K5 Wearable Metabolic System. The system comes with micro-dynamic mixing chamber or breath-by-breath gas exchange techniques, wireless connectivity, a standard USB port, and medical grade AC/DC power plug. Moreover, portable VO2 max analysis devices have been introduced in the market by players such as VO2 Master. VO2 Master product VO2 Master Pro is a wearable VO2 analyzer with Bluetooth connectivity. AEI Technologies offers PC-based stress ECG system, which can turn any PC into an all-in-one cardiology system. Furthermore, in October 2017, InBody Co., Ltd. launched InBody BAND 2 — a fusion of body composition analyzers and fitness trackers. InBody BAND 2 is capable of measuring percent body fat, fat mass, muscle mass, sleep monitoring, heart rate monitoring, and fitness tracking. Therefore, launch of advanced metabolic testing devices is expected to significantly boost metabolic testing market growth over the forecast period. 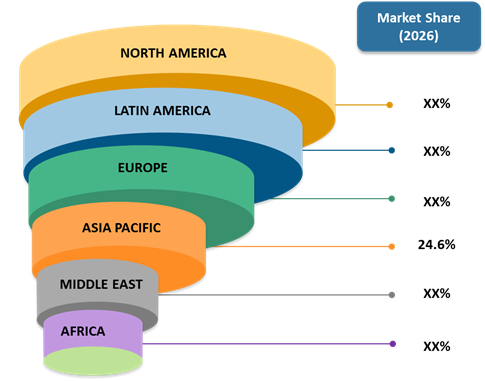 The global metabolic testing market size was valued at US$ 451.5 Mn in 2018, and is expected to witness a CAGR of 7.6% during the forecast period (2018 – 2026). 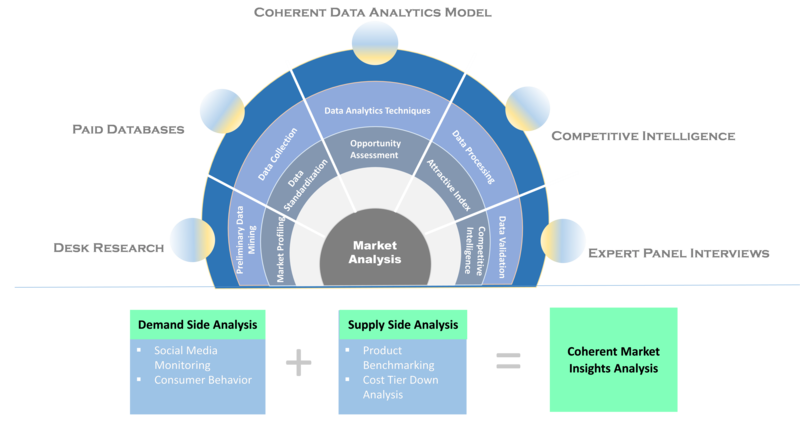 Metabolic testing market is expected to witness significant growth over the forecast period, owing to increasing prevalence of lifestyle diseases such as cardiovascular diseases, obesity, and type 2 diabetes. For instance, according to the World Health Organization (WHO), 2017, around 17 million deaths are registered worldwide, annually due to cardiovascular diseases, of which over three quarters are registered in low- and middle-income countries. Moreover, according to American Diabetes Association (ADA), in 2015, around 30.3 million people in the U.S. were suffering from diabetes. Increasing prevalence of lifestyle diseases leads to high demand for metabolic testing, which in turn expected to boosts global metabolic testing market growth. Medical devices are classified into three categories: Class 1, Class 2, and Class 3. 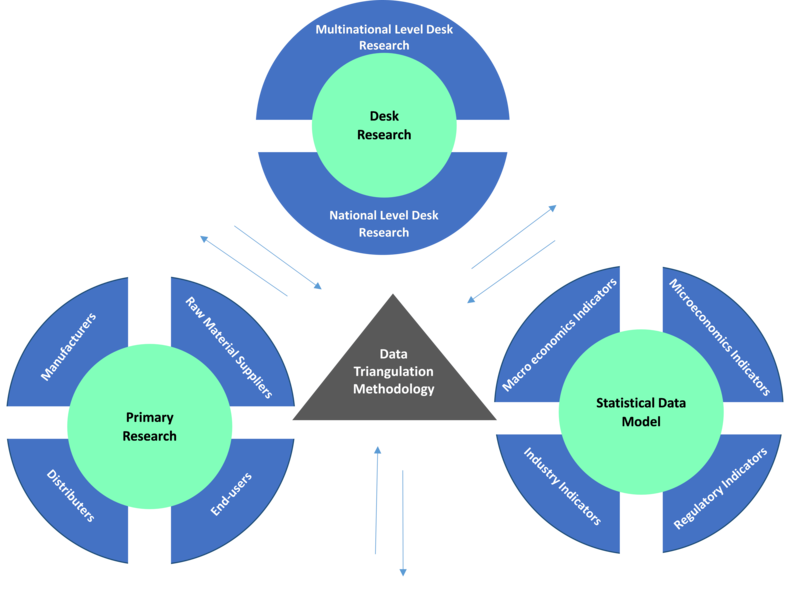 This classification is risk-based, where risk posed by the device to the patient represents category of the medical device. For instance, class 1 includes devices with lowest risk, class 2 includes medium risks, whereas class 3 includes devices with the highest risk. The U.S. Food and Drug Administration (FDA) classifies metabolic testing devices into class II of medical device classification system. According to the U.S. FDA, if a device is classified into either class II (Special Controls) or class III, it may be subject to additional controls. The U.S. FDA classifies a device into class II (special controls) in order to provide a reasonable assurance of safety and effectiveness of the device. Technological advancements in healthcare IT sector has enabled effective integration of complex healthcare and IT systems. Technologies such as cloud computing, data analytics, big data, and patient monitoring are majorly being used in healthcare. This trend (connected health) has affected metabolic testing devices as well, as manufacturers are introducing portable/wearable devices with advanced features such as Bluetooth connectivity, inbuilt ECG monitors, fitness trackers, and other such multiple features. However, metabolic testing is still not a necessity beyond situational requirement and metabolic testing is yet to reach its full potential. In such scenario, connected and portable metabolic testing devices may play a major role in enhancing the accessibility of metabolic testing. Examples of such devices include, K5 Wearable Metabolic System (manufactured by Cosmed srl), InBody BAND 2 (manufactured by InBody Co.,Ltd. ), and VO2 Master Pro (manufactured by VO2 Master). 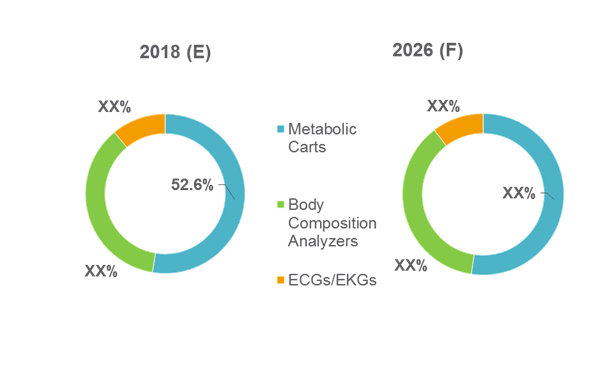 Key players operating in the metabolic testing market include, Cosmed srl, Vyaire Medical, Inc., Geratherm Medical AG, MGC Diagnostics Corporation, Cortex Biophysik GmbH, General Electric Company, Microlife Medical Home Solutions, Inc., OSI Systems, Inc., AEI Technologies, Inc., and Korr Medical Technologies, Inc.
Metabolic testing device are medical devices used to screen organ functions and disease condition such as liver diseases, diabetes, kidney diseases, and cardiovascular diseases. Technologies involved in metabolic testing include VO2 Max analysis, RMR analysis, and body composition analysis. VO2 Max analysis includes body’s maximum rate of oxygen consumption that is measured during incremental exercise. RMR analysis is resting metabolic rate analysis in which measurement of food and energy required to maintain basic body functions such as heartbeat, breathing, and maintenance of body heat is done. Body composition analysis consists of determination of ratio of different tissues of the body. Metabolic testing is helpful in lifestyle disease management, performance testing for sports and fitness professionals, and in case of metabolic disorders such as diabetes. Products available in the market work on either of these technologies such as RMR, VO2 Max, and body consumption analysis. Commercially available products for metabolic testing include, ReeVue, Quark RMR w/CPET, Quark CPET, K5, and Ultima CardiO2. The U.S Food and Drug Administration (FDA) controls and regulates the registration, approval, and monitoring of medical devices, including metabolic testing devices. These devices require 510 (k) premarket notification to be sold in the market. For instance, K5 wearable metabolic system has a 510 (k) premarket notification granted by the U.S. Food & Drug Administration (FDA). Increasing approval and launch of new products, high prevalence of lifestyle diseases, and better reimbursement policies is expected to be major factors drastically driving metabolic testing market growth. For instance, manufacturers have introduced products such as Quark CPET (Cosmed srl) with multiple configurations such as ECG testing and nutritional assessment and products such as ReeVue (Korr Medical Technologies Inc.) with mixing chamber technology, self-calibration, and reimbursement facility. Prevalence of lifestyle diseases is high in key region. Lifestyle diseases can lead to metabolic diseases which in turn is expected to rise demands for metabolic testing devices and drive metabolic testing market growth. For instance, according to the Centers for Disease Control and Prevention (CDC), over one third of the adults in the U.S. had obesity in 2014. However, high cost of metabolic testing devices, preference to these devices under limited circumstances (sports performance testing and others), low penetration in emerging economies in regions such as Latin America, Asia Pacific, and Middle East are factors that are expected to restrain growth of the market. Key companies covered as a part of this study include, COSMED srl, Vyaire Medical, Inc., Geratherm Medical AG, MGC Diagnostics Corporation, CORTEX Biophysik GmbH, General Electric Company, Microlife Medical Home Solutions, Inc., OSI Systems, Inc., AEI Technologies, Inc., and KORR Medical Technologies, Inc.
*Browse 35 market data tables and 34 figures on “Metabolic Testing Market - Global forecast to 2026”.